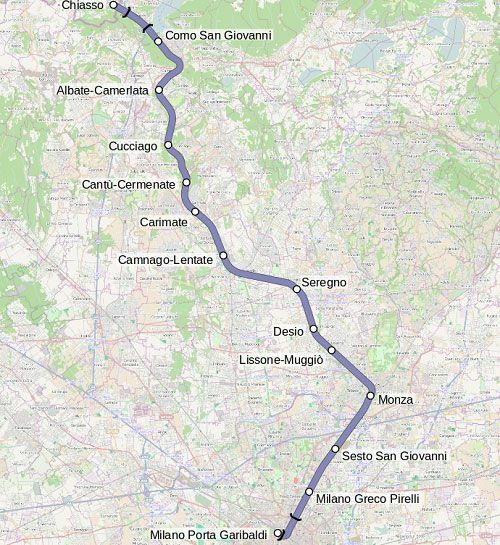 There are three railway lines that connect Milan and the city of Como. Whatever route you choose, I highly recommend you to download the Trenord app (for Android and iOS) that will allow you plan your journey and purchase tickets in advance. The Suburban line S11 operated by Trenord starts from Porta Garibaldi, one of the most dynamic areas of Milan, and gets to Como in one hour. Como S. Giovanni, your arrival point, is 12 stops from the start of the line. 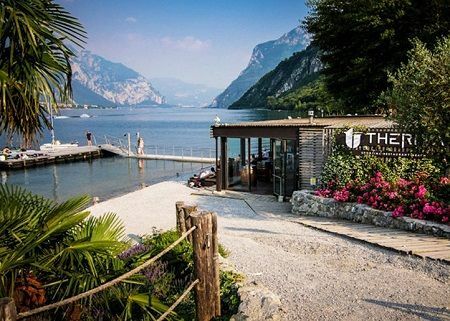 Once out of the station, you will be just a five minute walk from the most beautiful lake in the world! Tip: Traveling to Bellagio? Then you’ll be happy to know that. just outside the station. you can take the C30 bus that can take you there in about 1 hour! ⇒ Take me to Milano Porta Garibaldi! ⇒ Take me to Como S. Giovanni! Milan central station, just a couple of M2 subway stops from Porta Garibaldi, is definitely where most travelers start their journey to Como. The route has fewer stops than the other options: after leaving from Milan central station, the train will only stop in Monza and Seregno before getting to Como S. Giovanni! Tip: if you can not find your train on the boards, get help from the staff: the arrival could be Lugano or another Swiss city. ⇒ Take me to Milano Centrale! Milano Cadorna is another of the major train stations in Milan. 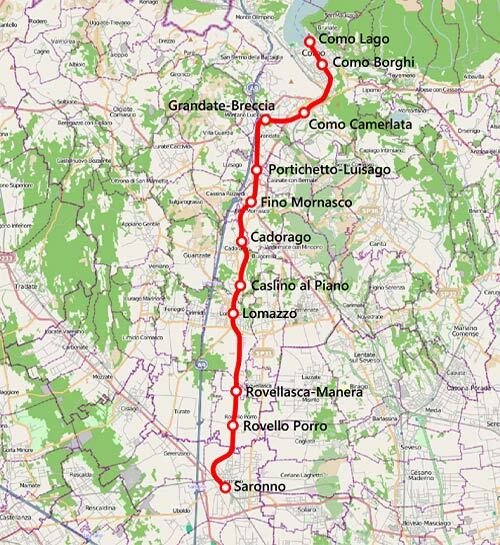 If you want to get to Como from Milano Cadorna, simply take the train that goes to Como Nord Lago (end of the line) and you’ll be there in one hour. 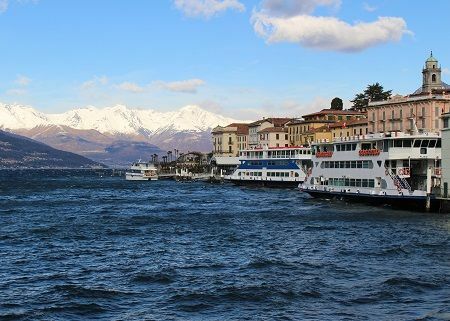 Once out of the station, Lake Como will be the first thing that you’ll see… and it’s gonna be amazing! 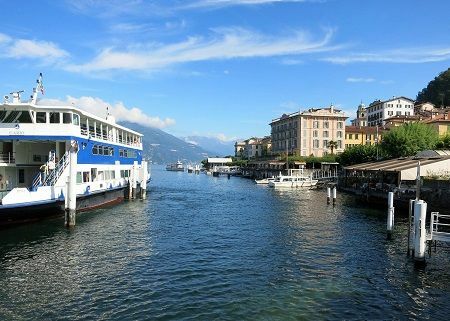 Tip: Como Nord Lago is a few steps from the C30 bus stop to Bellagio and from Piazza Matteotti, the main Como bus station. ⇒ Take me to Milano Cadorna! ⇒ Take me to Como Nord Lago! If you’re landing at Milan Malpensa airport, you have two options: renting a car or getting to Como by public transport. If you rent a car at the airport, simply follow the directions toward Como/Chiasso. Take the new A36 motorway (Pedemontana Lombarda) and continue for approximately 15 kilometers (9.3 miles). Turn right and take the A9 motorway toward Como/Chiasso. When you’re driving on the A9, continue north until you reach the Como Centro exit. Want to reach Como from Milan Malpensa airport by train? 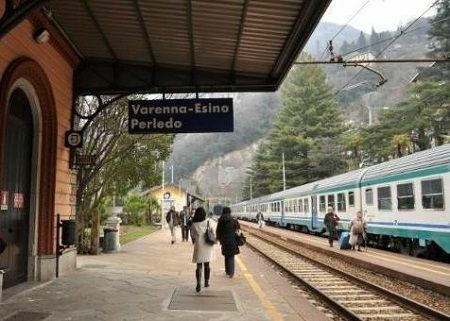 Malpensa Express is an efficient service offered by Trenord, and it’s the best way to get to Lake Como from Malpensa airport. The train starts from Terminal 1 and gets to Saronno train station in about 20 minutes, then you have to change and take the train which heads to Como Nord Lago. Ticket price for both routes is €10.90 (€8 for Malpensa Express and €2.90 for the Saronno – Como route). Notice that if your plane lands at Malpensa Terminal 2, you can rely on a shuttle service that will lead you directly to the departure platform. ⇒ Take me to Malpensa airport! Bergamo airport is one of the most popular destinations for a low cost trip. The airport is actually located in Orio al Serio, a small town that is fifteen minutes away from Bergamo and about one hour from Milan. If you’re landing at Bergamo (Orio al Serio) airport, you have two options: renting a car or getting to Como by private and public transportation. If you rent a car at the airport, simply follow the directions toward Como/Chiasso (your journey will last approximately one hour). If you land at Bergamo airport, I suggest you hire a car in order to save time and enjoy your holidays to the fullest! If you don’t want to travel by car, you have a couple of options to get to Como from Bergamo. Orio Shuttle: right outside the airport, you can take the Line 1 of the Orio Shuttle which connects Bergamo airport to the Milan central station in about 50 minutes, at a cost of €5. Service is guaranteed seven days a week. Once in Milano Centrale, you can get to Como by train (see above). Airport Bus Express: Airport Bus Express by Autostradale is another private shuttle service which connects Bergamo airport to Milano Centrale in 50 minutes. Ticket price is €5, but you can save €1 if you also buy the return ticket. Milan Linate airport is located in the eastern periphery of the regional capital and represents the arrival point of most international flights. If you rent a car at the airport, you should head for Milan and take the A51 motorway (Tangenziale Est). Then, take the A9 motorway toward Como/Chiasso and follow the directions. If you don’t want to move by car, you can rely on the Starfly bus service, which connects the airport to Milan central station in 15 minutes. From there, you can get to Como by train. You can buy your ticket on board at the price of €5.